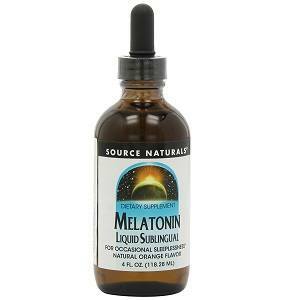 » Source Naturals Melatonin Liquid – does it works as claimed? It’s a neurohormone that the human body automatically produces in the pineal gland. It is responsible for helping the body to get a good restful sleep. Some people have troubles sleeping, this is because their bodies are not producing enough melatonin, for this reason, people may turn to sleeping aids to help them sleep. Amongst the many different products currently on the market on sleeping aids, you will find Source Naturals Melatonin Liquid working the way you like. Today, I am going to give you an honest review on Source Naturals Melatonin Liquid, so pay close attention to what I have to tell you. Sometimes, regardless of the reason, it may be hard to fall asleep. Night after night, just laying there in bed as you struggle to sleep, you will become frustrated. One of the best features of Source Naturals Melatonin Liquid is the fact that it will help you sleep so that you can have a good day as you are feeling rested. There are other brands of Melatonin liquid out there, however, this one right here has a much more pleasant taste to it. The taste is sweet, and it isn’t bad at all. Approximately 1-2 hours before bedtime, place a couple of drops of liquid melatonin under your tongue and let it sit there for 45 seconds before you swallow it. A dropperful of this liquid is around 1.0 ml. In no time at all, you will start to feel drowsy and will be able to drift off to sleep peacefully as soon as you go to bed. Personally, we have tried to pill as well as the liquid form of melatonin, and believe that the liquid form is much more effective. However, you should not take more than 3 droppersful (that’s 3.0 ml) daily. Since I am a vegetarian, I was a bit worried about this product. However, after thoroughly researching the product, I found that it is suitable for vegetarians. This product does not contain any egg, dairy, yeast, soy, wheat, gluten, salt, sugar of artificial color, fragrance or flavor. It is 100% all-natural and true to its word. Obviously, since this is a supplement to help you sleep, you should not take it if you do not plan on going to bed – use it only at bedtime. Also, reading further into the warnings, I find that this product is for adults only – it is not recommended to be used by children, teenagers or women that are pregnant or breastfeeding. In conclusion, I do not take this supplement every night, but during the nights when I am having trouble sleeping, I know that this is something I can count on. I would highly recommend this to individuals who have trouble sleeping at night. All you have to do is take 1-2 dropperfuls and you will be off to sleep in no time at all. Previous Post NatureWise Garcinia Cambogia Extract Helps with Weight Loss – Here’s the reason Next Post Ginger, its importance and top 12 health benefits it has.